The form and ornaments of the contemporary garments preserved a part of the language of signs and symbols specific to the mythical thinking of earlier times. Fabrics wore symbols appointed by virtue of faith, thus spinning and weaving became sacred. The purpose of the garments worn by the ancestors was to facilitate dialogue with the unseen forces of the cosmos. The diversity stems in part from the role the clothing plays as an indicator of a person's station in life or place within the community, including age, marital statues, occupation, wealth, and social status. Diversity is also due to the different purposes that clothing serves: elaborate clothing is worn in celebration of special occasions such as weddings, religious holidays, etc. Some believed that specific articles of clothing were te be protective or to bring good fortune and fertility, especially to newlyweds. The peasant woman was embroidering her cloths with her soul. The hands were just obeying what her heart dictated. She would pray to God: "Inspirit my clothes, the secret of my soul". 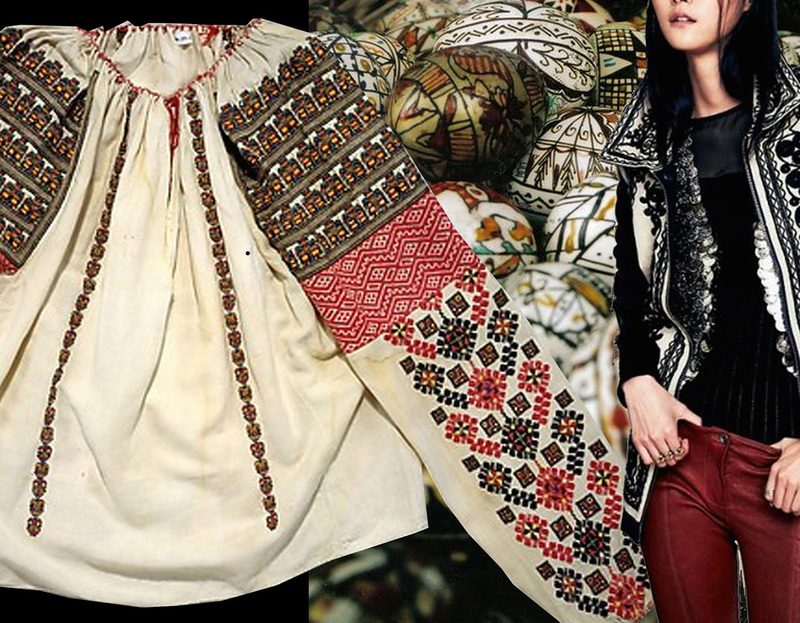 All symbols and geometric shapes on the blouses are built to generate and direct the energy they represent. The embroidery work on chest and sleeves channel the energy through the body, down the arms and into the hands. The cross is the essence of balance: horizontally it connects people and vertically the people get connected with God. 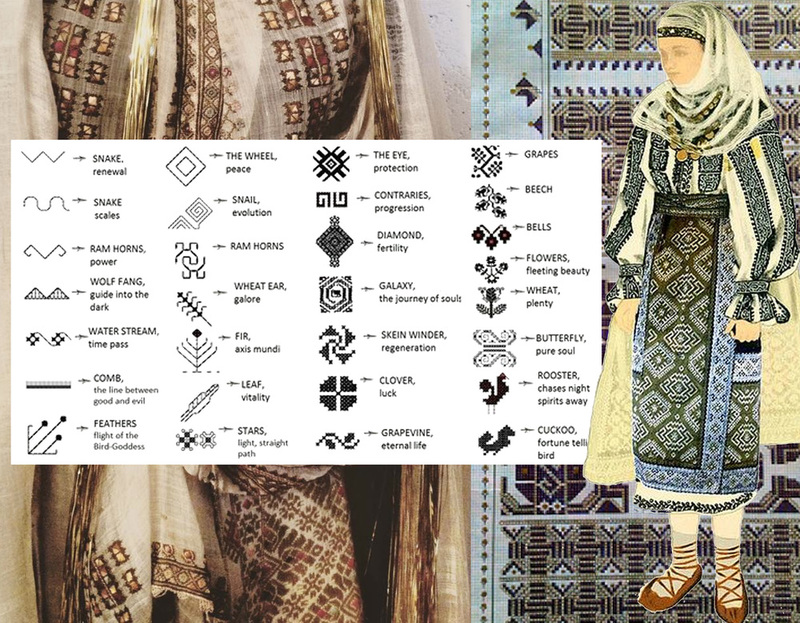 Embroideries on folk costumes worn for holidays or special occasions follow strict regional patterns and served also as a sort of secret language known only to people within that region. Sibiu uses graphic black and white motifs, reflecting its Saxon heritage. In the South you will see the use of red, black maroon, yellow, gold and silver threads, reflecting the influences of the Ottoman Empire. The Voronet blue I was talking about 2 weeks ago is used also in the embroideries of Moldova, combined with orange. The motifs, sewn on materials, carved on objects or painted on their houses, creates a symbolical shield against evil spirits. It is fascinating to receive message from people who lived long before us, by just learning how to read their needlework. Use of colour and symbols is linked to the region people live in. In history regions were influenced by the countries who occupied them. Embroidered motifs are used to decorate the cloths, it could be functional or ornamental, combinations of type of symbols vary from district to district. 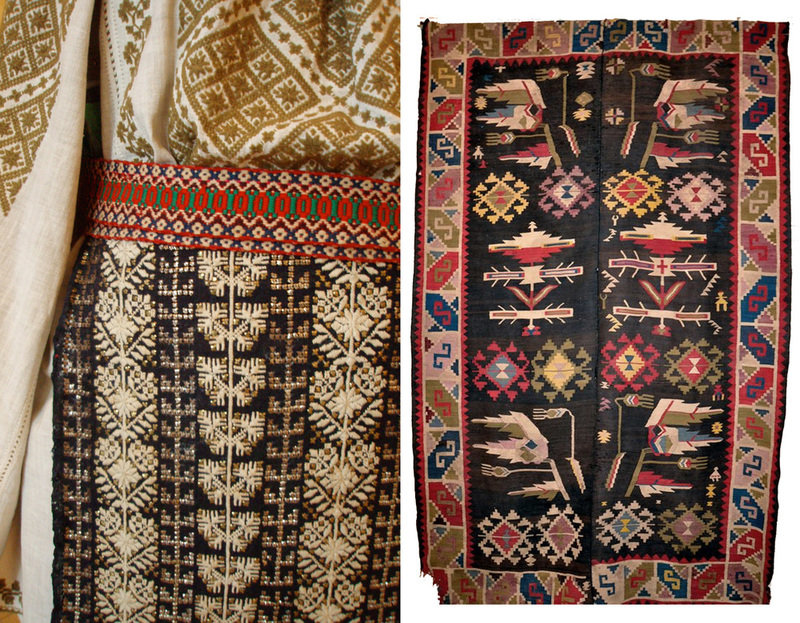 The geometric patterns used in weaving served as an inspiration for the earlier embroideries, in the second half of the 19th century non-geometrical floral motifs were introduced. Over the centuries there was a frequent borrowing and sharing of motifs between regions. The decoration became more elaborated around 1900, with combining many different techniques, used on a single garment. The veneration of the Tree of Life is still practiced in Romania. It can be found on ceramics, gates, rugs, as a symbol of eternal life, vitality and spiritual growth. Traditional clothing, ceramic, wood work are often seen these days as folklore from the past. So it is nice to see young designers getting inspired by their heritage and to bring it to the next generation. 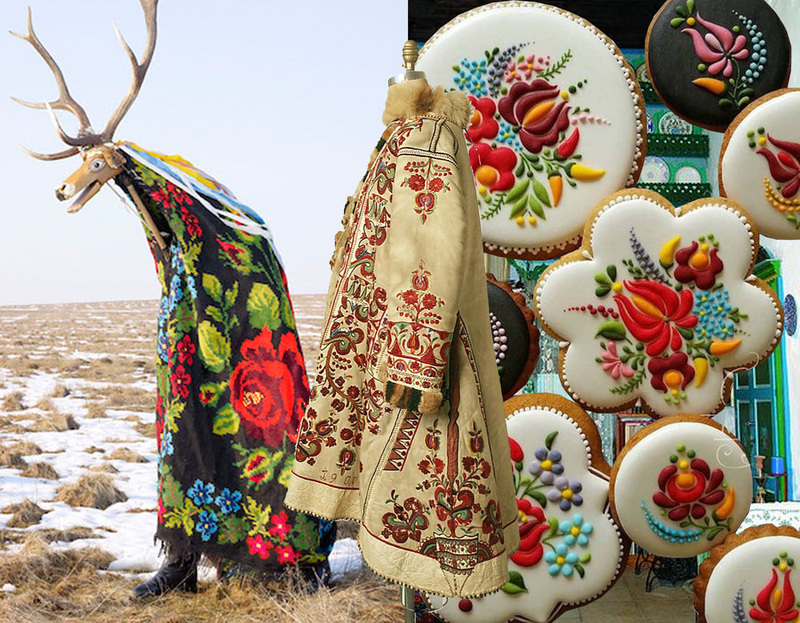 I think of the wall stickers from Cai verzi pe pereti, the jewellery of Mihaela Ivana, the rug collection Dare to Rug. They all make in their style an interpretation of those symbols. Romania has a lot to be proud of. You will be able to discover more during the weekend workshop in Viscri, you will see how you can make your own interpretation, and how to use it in your home.